This post will be updated in the near future with even more Addons for Google Form goodies. 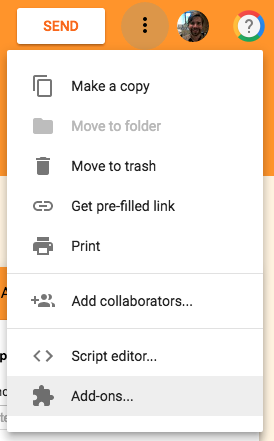 A more in-depth Google Forms tutorial will be coming soon. 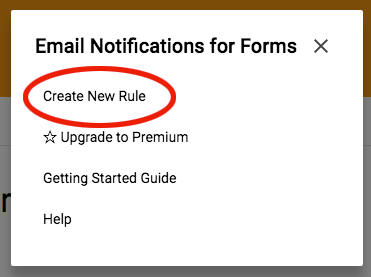 Assuming you know how to make a form and send it out, you may wonder why Google hasn’t made it easy to get notifications when your form is filled out. Cue “Add-ons” to the rescue. By default, Add-ons are not included… you have to add them first. Click the and then click . Click the + Free icon and you’re all set. That’s it. Do this by clicking the new puzzle piece icon and selecting this add-on. 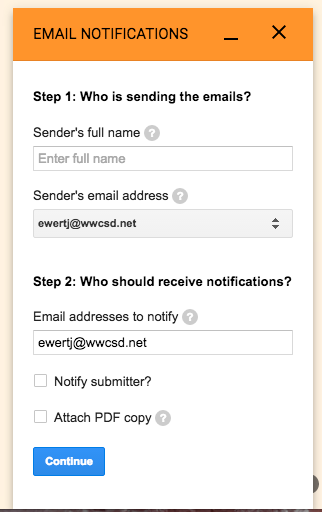 You will need to put your email in the receive notifications section. The rest is up to you.